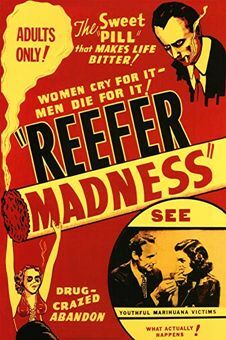 “Reefer Madness” is a1936 film revolving around series of tragic events after innocent teenagers became addicted to marijuana. It was shown to parents as a cautionary tale about the scourge called marijuana. Today, marijuana for recreational use is legal in 10 states, and more states are considering it. New York Gov. Andrew Cuomo has stated that the legalization of recreational marijuana is on his agenda for this year. What is the position of the American Academy of Pediatrics on the issue of marijuana legalization? The legalization of marijuana has raised critical questions for pediatricians who care for children and adolescents. In the 2015 policy statement, “The Impact of Marijuana Policies on Youth: Clinical, Research, and Legal Update,” the American Academy of Pediatrics opposes the legalization of recreational marijuana because of the potential harm to children and adolescents. Legalization would create an industry to commercialize and market marijuana, which would be harmful for children. Legalization would also lead to more adult use and likely lead to more adolescent use, despite attempts to restrict sales to underage youth. It true that we do not have all the data documenting changes to child health from the legalization of marijuana in the states of Washington, Colorado and California. Remember that it took generations, millions of lives and billions of dollar to establish the harms of combustible tobacco. We should not consider marijuana “innocent until proven guilty,” given what already know about the harms to adolescents. What is the position statement of NYS American Academy of Pediatrics on New York State’s initiative to legalize marijuana for adult recreational use? Pediatricians have special expertise in the care of children and adolescents. Parents and legislators may call on us for expert advice. NYS American Academy of Pediatrics has issued a position statement that is being shared with legislators, key Executive and State Agency staff and external partners. New York is likely to join the other 10 states that have legalized recreational marijuana, but as pediatricians, we need to advise legislators about the potential impact on children and adolescents. More than 18% of NYS high schools currently use marijuana. This number is going to increase once legalization has occurred.